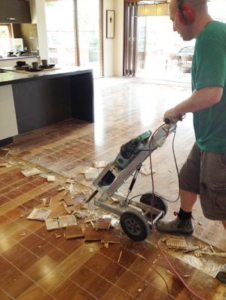 We offer services to remove tiles, timber, vinyl and carpet floors and any floor covering that your home or business space has. Floor stripping and preparation lays the foundation for your renovation project, our commitment to the job and attention to detail ensures our customers are satisfied, finishing with a result of the highest quality. We also recognise that stripping floors and walls is a dirty business. We remove all rubbish, leaving your space ready to work in or be worked on. Our tile stripping, timber stripping and preparation service really is a total service, delivering total satisfaction.